Adidas Adidas Yeezy Boost 350 V2 "Semi Frozen Yellow"
Making its return, the Adidas Yeezy Boost 350 V2 "Semi Frozen Yellow" will feature a vibrant yellow Primeknit design similar to the "Zebra." Release date is Dec. 14, 2018 at a retail price of $220. 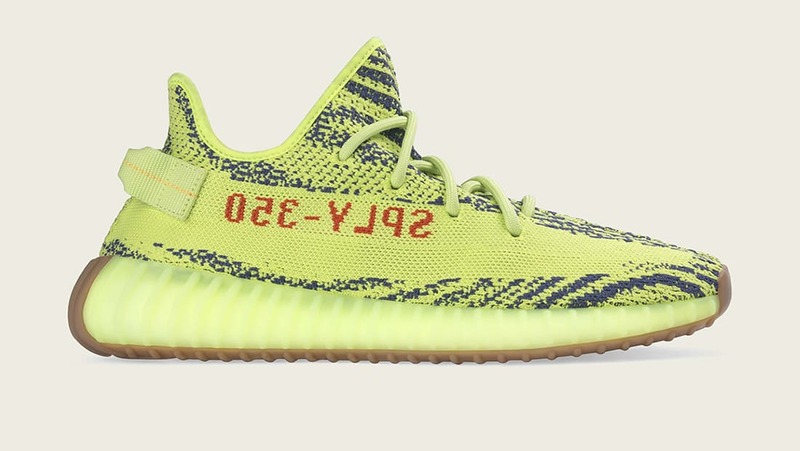 News Adidas Yeezy Boost 350 V2 "Semi Frozen Yellow"